According to this enthralling survey, Simon Rattle’s 1987 Berlin Philharmonic debut nearly didn’t happen. After being dropped off at the wrong entrance, the 32-year-old conductor found himself lost and wandering the grounds, the score of Mahler’s Sixth Symphony clutched desperately under his arm. He made the rehearsal by the skin of his teeth and the rest, as they say, is history. As it happens, the BPO engineers captured that performance and it’s released here alongside Rattle’s valedictory interpretation of that same work earlier this year in what was a poignant farewell after leading the orchestra for 16 years. It makes for fascinating listening. It’s not that Rattle has changed a lot – tempi remain pretty much the same, he still places the Andante before the Scherzo, we still get just the two hammer blows – but listening to the two readings back to back is an object lesson in the maturing of a musical personality and what it means to become a true Meister. Take the opening Allegro. The march feels brisker (although the movement actually takes longer) and a trifle more purposeful. The ‘Alma’ theme feels smoother, more lovingly shaded. Comparing it with his old 1990 EMI Birmingham recording is interesting. 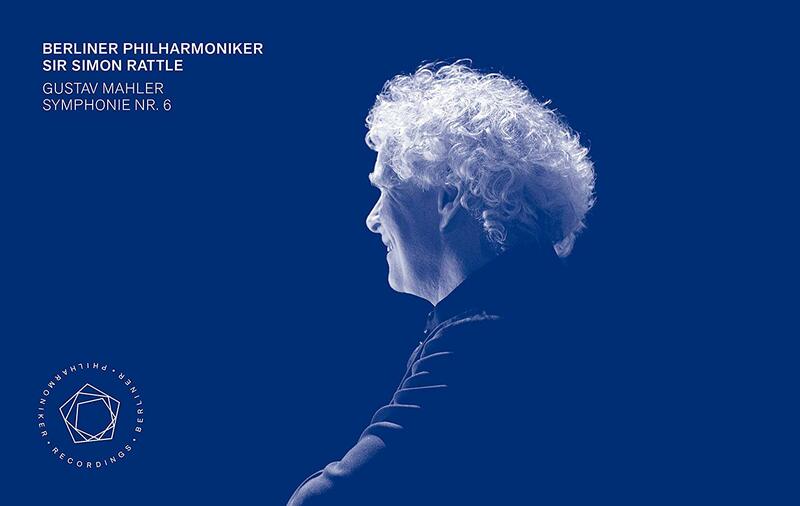 Three years after his BPO debut, Rattle seems to take longer and make bigger statements, many of which by 2018 have been integrated into a less histrionic, more cohesive whole. The 2018 recording also happens to be better, the dynamic range fuller, the textures more carefully drawn out. By 2018, the ebb and flow of the great Andante feels more organic, everything seems more inevitable somehow. A richer orchestral timbre creates greater magic, the climaxes are bolder, more urgent. Again, the Scherzo has greater momentum, though it turns out to be fractionally slower. But it’s the gargantuan Finale, the test of any Mahler maestro, that emerges with greatest clarity. Pace, dynamic detail and orchestral textures are radiantly and overwhelmingly delivered. With the filmed concert on a separate DVD and a bonus doco, this set is well worth acquiring. London outfit plays it straight in a celebration of New York.